We didn’t have time for pumpkin carving this year. 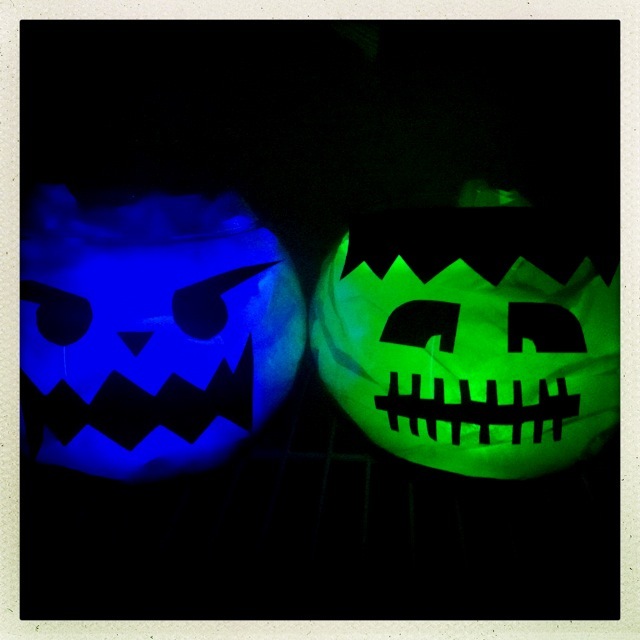 Normally, I like to carve pumpkins to light up outside our house to light the way to the house for trick-or-treaters. 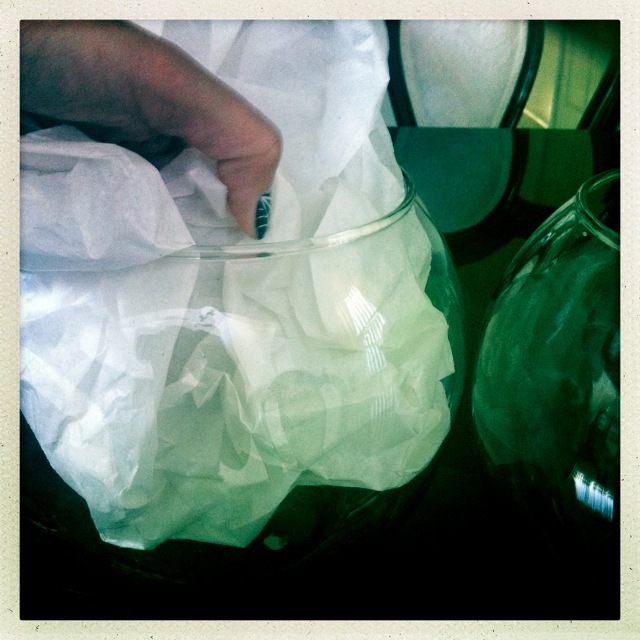 I was a little bit sad, not having anything like that this year…but then the creative wheels started churning in my head and I decided to make some luminaries out of glass bowls that we have. 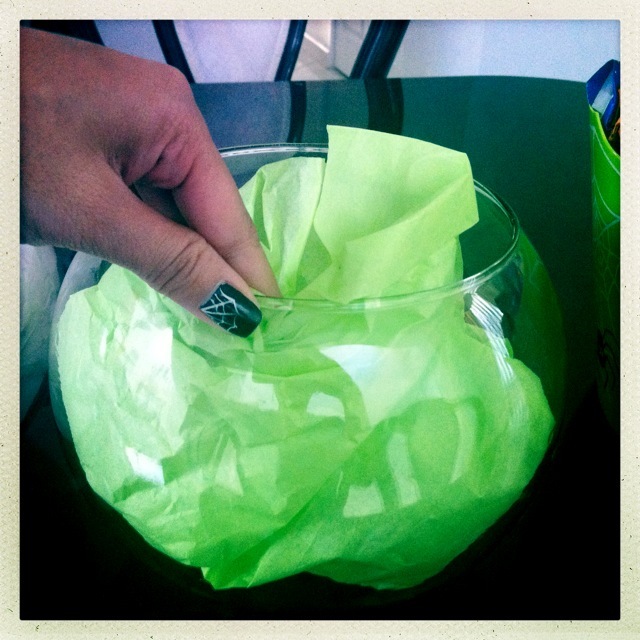 First, just stuff your tissue paper in the glass bowl to cover up the edges. 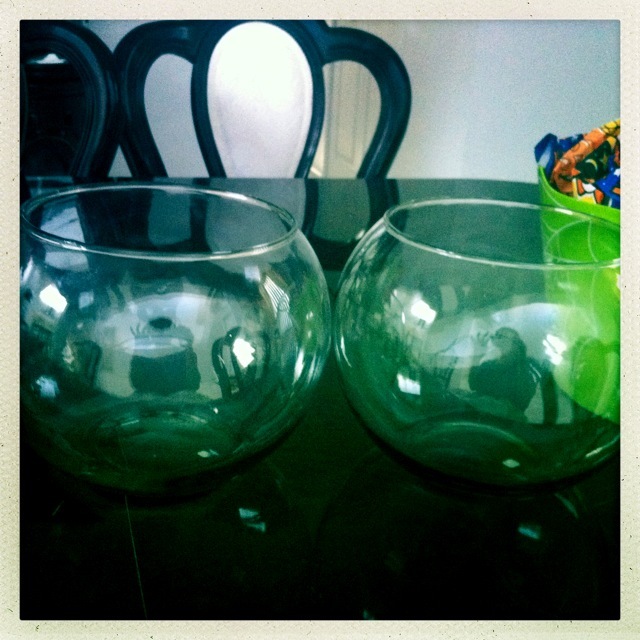 I found that it allows the lights to distribute evenly and give more color then just putting the lights in the glass bowl. 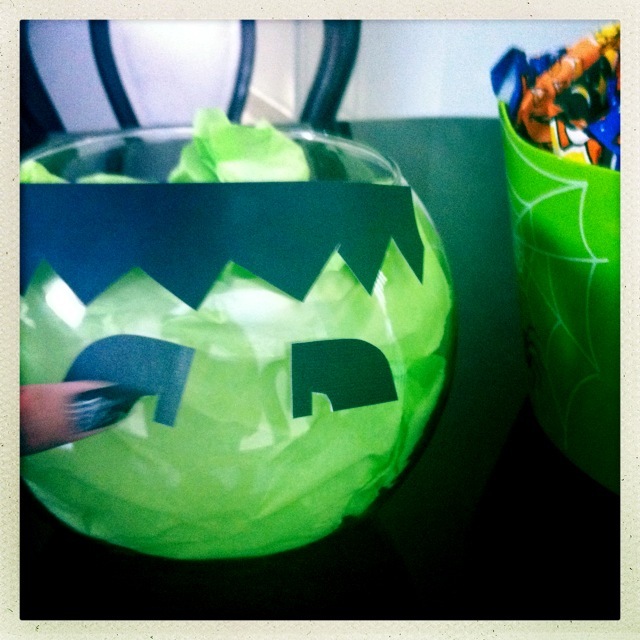 Cut out spooky faces out of black paper and adhere to bowl with tape. Turn on the tea light and put inside. I found these at Joann’s for my sister’s wedding years ago. They were in the floral section. 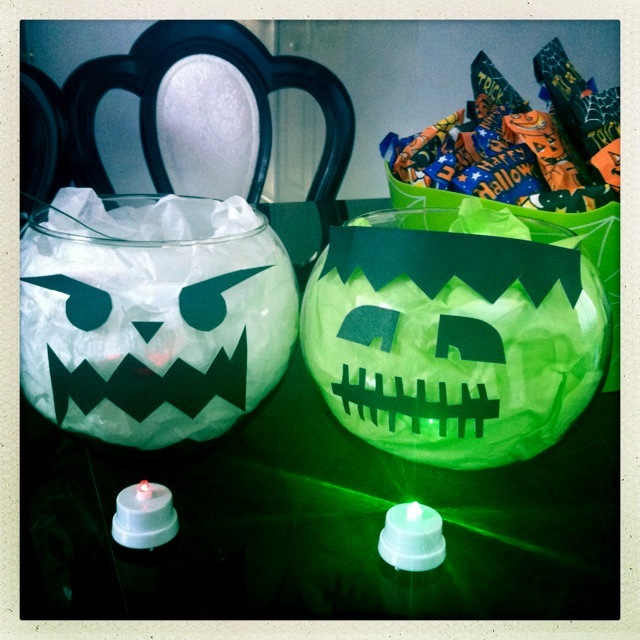 They are battery-operated and have different colored lights, as well as a blinking light option. Thought they will be perfect for this! If you don’t have anything like this, just any tea light would work. 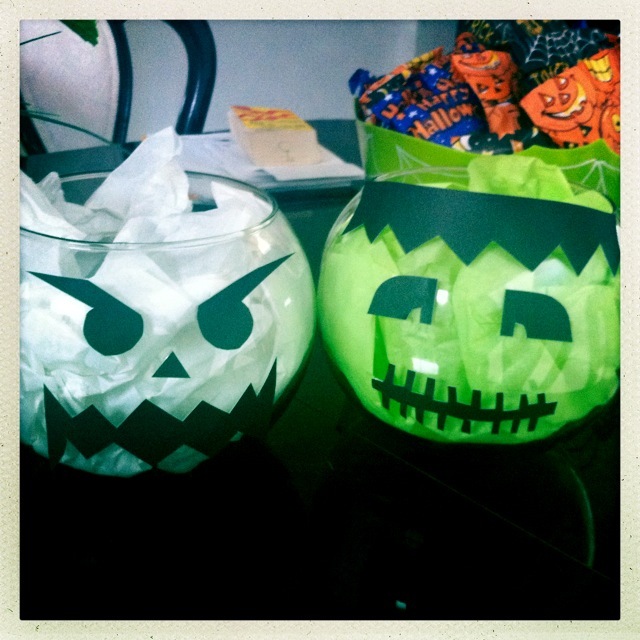 Just don’t use candles because the tissue paper may catch on fire and we really don’t want any accidents! VOILA! Finished =) I put them inside a dark closet to test them out for tonight. They look pretty good! 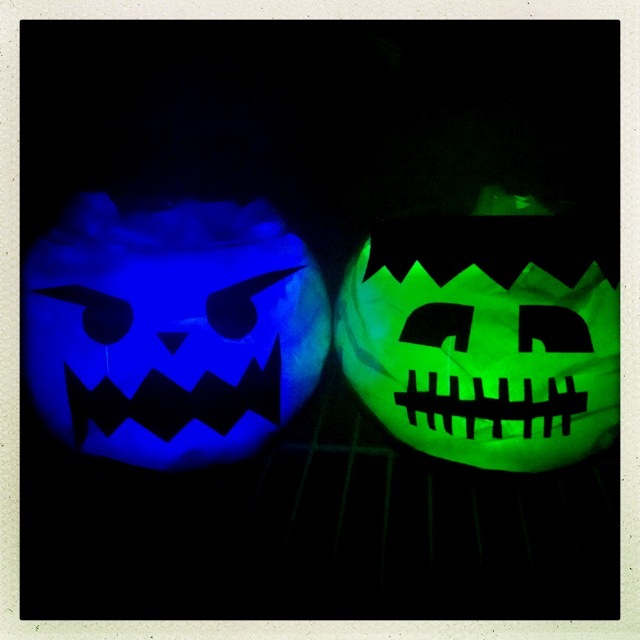 We now have to cute glass “pumpkins” to light up our house for the trick-or-treaters. Simple and easy, right? Have fun everyone!